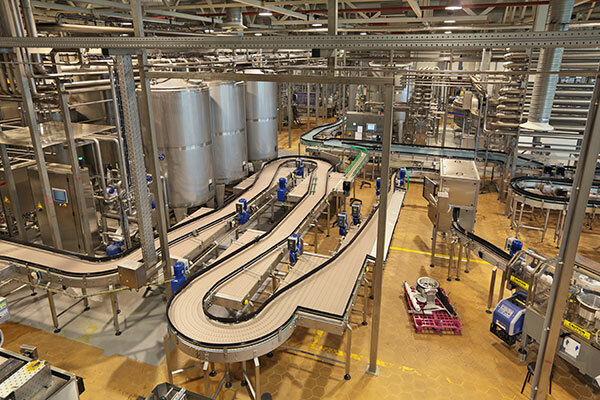 At Markair, we understand the requirements surrounding equipment in food processing and food manufacturing environments. Where cleanliness and hygiene is paramount, products must be sufficiently robust to withstand an industrial environment, while being manufactured in such a way that regular maintenance and in particular, washing down with water and disinfectants, can be carried out without affecting the longevity of the fan. We build many products in 316 stainless steel to withstand the rigours of the food processing industry. Our MVA range is especially suited to these applications. We can supply blowers that are fitted with IP66 and IP68 depending on the requirements. We also stock the TEMA range of stainless steel motors. These motors are perfectly suited for food processing industries as they are totally enclosed and rated to IP67, while being the only available motor manufactured in stainless steel, meaning motors can be cleaned with water and disinfectants with ease. TEMA motors are available in sizes from 0.22KW to 22KW. Please contact us to see how we can assist.